Regular users of the following Glasgow City Swimming Pools told us the most important point about swimming is usually to control your breathing. Occasionally this is not possible because we raise the neck to breathe as well as the body is not aligned. To avoid this, our head should be aligned with our spine all the time. We probably do not know all the Swimming Pools in Glasgow City. Are you missing any? Contact us!. Are you a normal swimmer? Have you ever practiced Aquagym in Glasgow City? Let us know!. Swimia.com has one of the most up-to-date database on the internet about almost any Glasgow City Swimming Pool. Classified by countries, regions and cities, it truly is easy to find the nearest pool at the places you visit. For Glasgow City, it is possible to have a look at the pools we have gathered for you. 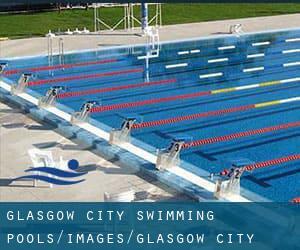 The most beneficial option during your visit to Glasgow City are going to be droping by a Glasgow City Swimming Pool. Not all countries are the very same, and swimming rules and regulations are changing from one country to the other. So, if this is your first time searching for Glasgow City Swimming Pools, be sure to call the premises before you drop by. Enjoy the best indoor pools in Glasgow City and don't worry about the weather. These facilities are open all seasons and you can enjoy a swim at the same temperature every day of the year. One from the advantages of outdoor swimming in Glasgow City may be the possibility to sunbathe during the summer season. Taking it with additional care, sunbathing is healthy since introduces Vitamin D into the body, so the perfect selection seems to be switching between indoor and outdoor pools depending on the season. If you're tired of having eyes and irritated skin, finding a saltwater pool in Glasgow City can be the remedy. You need to know that the level of salt from these pools is well below the level of salt from sea water, specifically they are talking about a tenth or much less. There are several causes why you must choose a heated swimming pool in Glasgow City. Probably the most significant one relies on the significance of keeping the body temperature stable. If the water is too cold, your body will try to warm it up and you will lose strength to swim properly. There are quite a few alternative treatment options to chlorination, with wonderful advantages that make sure superior water quality in the pool. One possibility will be the mineralizer, which purifies water naturally and significantly decreases the chemicals used and maintenance time. Try Chlorine No cost pools in Glasgow City. 61 Arlington Street , Glasgow , Scotland , UNITED KINGDOM (Postal Code: G 3 6DT). This sports centre provides 21 meters, 6 feet 2in maximum depth, Indoors. Contact data for this Swimming Pool for instance phone number and email address are number. Bellahouston Drive , Glasgow , Scotland , UNITED KINGDOM (Postal Code: G52 1HH). This sports centre gives 25 meters, Indoors. For this Swimming Pool, only phone number is number here. Bogbain Road , Glasgow , Scotland , UNITED KINGDOM (Postal Code: G34 9LW). Swimmers like you reported 20 meters x 12.8 meters, Indoors. Unfortunately we do not have the email address of this Swimming Pool, but we can provide you with the phone number. 12 Cranworth Street , Hillhead , Glasgow , Scotland , UNITED KINGDOM (Postal Code: G12 8BZ). Among all the activities offered by the centre, if you're keen on swimming you will enjoy 30 yards x 9 meters, 0.9 meters - 2 meters depth, 0.9 meters - 2 meters depth, Indoors. If you need to contact this Swimming Pool, email address and phone number are both number. 240 Onslow Drive , Denniston , Glasgow , Scotland , UNITED KINGDOM (Postal Code: G31 2QF). Among all of the activities provided by the centre, if you are interested in swimming you will enjoy 25 meters, Indoors. Just in case you would like to contact this Swimming Pool before dropping by, we only know the phone number. 10 Braid Square , St. George´s Cross , Glasgow , Scotland , UNITED KINGDOM (Postal Code: G 4 9YB). Among all the activities provided by the centre, should you be interested in swimming you might enjoy 25 yards, Indoors. Just in case you want to get in touch with this Swimming Pool before dropping by, we only know the phone number. Summit Centre , 11 Minerva Way , Finnieston , Glasgow , Scotland , UNITED KINGDOM (Postal Code: G 3 8AU). Among all the activities offered by the centre, if you are thinking about swimming you might enjoy 20 meters x 11 meters, Indoors. Just in case you desire to contact this Pool before dropping by, we only know the phone number. Danes Drive , Scotstoun , Glasgow , Scotland , UNITED KINGDOM (Postal Code: G14 9HD). Among all the activities provided by the centre, should you be interested in swimming you might enjoy 25 meters, 10 lanes, Indoors. Just in case you want to get in touch with this Swimming Pool before dropping by, we only know the phone number. Braidholm Road , Giffnock , Glasgow , Scotland , UNITED KINGDOM (Postal Code: G46 6EB). This sports centre delivers 25 meters, Indoors. Contact information for this Swimming Pool for example phone number and e-mail address are number. Without a shadow of a doubt, swimming in Carmunnock is the most beneficial method to unwind after function. Take a couple of minutes to browse Swimia's catalog to find a Swimming Pool in Carmunnock. Let us tell you a secret to forget about almost everything while you're in Maryhill: just choose a pool and plunge into the water! There's no alot more efficient method. Whereas Mount Vernon is one of the six most populous cities in Glasgow City, you shouldn't miss that one if you're visiting Glasgow City. Holding an estimated population of 610.268, Glasgow is one of the most important cities in Glasgow City. Check all of the Swimming Pool in Glasgow and its surrounding region.